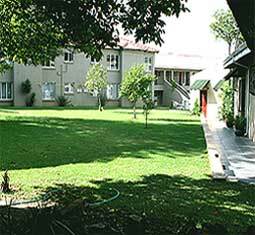 Airport Lodge Guest House offers exclusive bed & breakfast and self catering accommodation for discerning business and local or overseas visitors to Johannesburg, Gauteng. Here you can truly relax while we take care of your every need. Just what you would expect when you are away on those tiresome business trips. Our friendly staff will ensure that you feel welcome for the duration of your stay! Airport Lodge Guest House is close to OR Tambo International Airport in Johannesburg, highways, transport and the JHB and Pretoria City centre. It is the perfect base for business trips or even for the golf or tennis enthusiast visiting one of the East Rand and Johannesbug Country Clubs. Our Guesthouse is equipped with up to date facilities where we offer our guests peace and tranquility, with a short trip to shopping centres and restaurants! We can comfortably accommodate large tour groups at our establishment. Just relax and enjoy your home away from home! When we arrived at the guesthouse we were welcomed by Koos Loots, the owner. He was very helpful for the duration of our stay. The rooms were really comfortable and the highveld winter did not bother us at all. Everything was so clean, neat & comfortable. Airport Lodge Guest House is an Afristay Valued Member.